Blake Lively is a 31-year-old American actress, who is best known for her role as Serena van der Woodsen in the hit US TV series, Gossip Girl. Blake was born to acting parents in Los Angeles, where she was raised a Baptist Christian. Aside from acting and fashion, she also takes a keen interest in cooking and interior design. What is Blake Lively’s real name?? Blake Lively was born as Blake Ellender Brown on August 25, 1987, in the Tarzana neighbourhood of Los Angeles, California. Her mother, Elaine, worked as a talent scout, and her father, Ernie Lively was an actor. Lively was named after her grandmother’s brother. Her mother, Elaine (née McAlpin), worked as a talent scout, and her father, Ernie Lively (né Ernest Wilson Brown, Jr.), was an actor. Lively was named after her grandmother’s brother. She attended Burbank High School, where she was a senior class president, a cheerleader and a member of the championship choir. Her brother Eric asked his talent agent to send her on a few auditions over a period of a few months during the summer. From these auditions, she was cast in The Sisterhood of the Traveling Pants (2005) and reportedly filmed her scenes in between her junior and senior years. Was Blake Lively in Gossip Girl? The show follows a cohort of privileged teenagers on New York’s Upper East Side, with Lively playing the lead role of Serena van der Woodsen, a stylish blonde and (somewhat) reformed party girl. Bolstered by intense media coverage, including a provocative and controversial photo shoot in Rolling Stone magazine in 2009, Gossip Girl quickly developed a cult-like fan base. 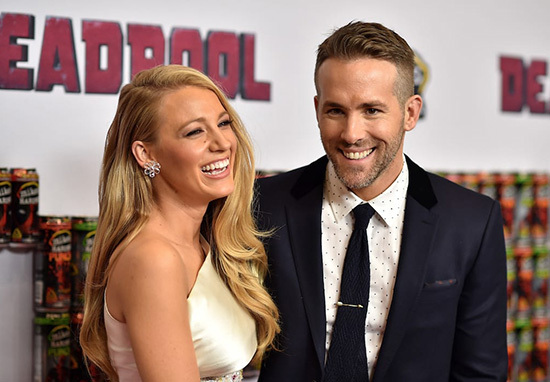 Is Blake Lively married to Ryan Reynolds? Yes. In 2011 she had a five-month fling with Leonardo DiCaprio, before being linked to Ryan Reynolds at the end of that year. The couple were married in September 2012, welcomed daughter James in December 2014 and their second child Inez in September 2016. Their online trolling of each other is stuff of legend. How did Blake Lively meet Ryan Reynolds? The couple met when they were filming together on the set of The Green Lantern reboot. Yes, she prepared for her role as a surfer attacked by a shark in The Shallows, which saw her train in basic surfing skills. She is said to have done all of the stunts in the movie herself and while she was carrying her second child, she shot half of the movie – once again with stunt doubles. What movies is Blake Lively in? It is not widely reported how much Blake is worth in terms of net value, but Celebrity Net Worth says the actress, in 2018, is worth $16 million while husband Ryan is worth £73 million. Did Blake Lively have a company?